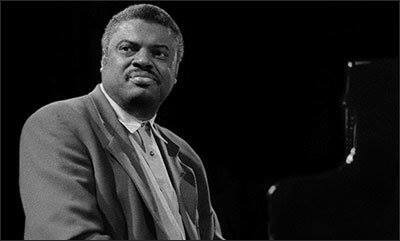 Mulgrew Miller, whose soulful touch and rhythmic aplomb made him a strong fixture in mainstream Jazz for more than 30 years , died Wednesday, May 29 in Allentown, Pa. He was only 57. “The cause of death was due to a massive stroke,” said his longtime manager, Mark Gurley. Mr. Miller passed quietly after being hospitalized in ICU just five days ago. He was a widely respected bandleader, working either with a trio or with the group he called Wingspan,named after the title of his second album. The blend of alto saxophone and vibraphone on that album recorded on Landmark Records in 1987. Mr. Miller revived that Band in 2002 on “The Sequel” (Max Jazz), working with veteran vibist, Steve Nelson. Among Mr. Miller’s releases in the last decade were an impeccable solo piano album and four live albums featuring his dynamic trio. Mulgrew developed his voice in the 1970s, combining the bright precision of bebop, as exemplified by Bud Powell and Oscar Peterson, with the clattering intrigue of modal jazz, especially as defined by McCoy Tyner. His balanced but assertive style was a model of fluency, lucidity and bounce, and it influenced more than a generation of younger pianists. Some people would say, his sideman credentials overshadowed his solo career. He played on hundreds of albums and worked in a series of celebrated bands. His most visible recent work had been with celebrated bassist, Ron Carter, whose Golden Striker Trio featured Mr. Miller and guitarist Russell Malone on equal footing; the group released a live album, “San Sebastian” (In+Out), this year. Born in Greenwood, Miss., on Aug. 13, 1955, Mr. Miller grew up immersed in Delta blues and gospel music. After picking out hymns by ear at the family piano, he began taking lessons at age 8. He played the organ in church and worked in soul cover bands, but devoted himself to jazz after seeing Mr. Peterson on television, a moment he later described as pivotal. At Memphis State University, he befriended two pianists, James Williams and Donald Brown, both of whom later preceded him in Art Blakey’s Jazz Messengers.